Yes, there is another white bear. It's not a polar bear but in fact it is a rare subspecies of the Black Bear. The beautiful Spirit Bear aka Ghost Bear was named after Frank Kermode the former director of the Royal B.C. Museum, Victoria, British Columbia, Canada. Read on to discover the myth and the mystery behind these beautiful white bears. You'll find photos, facts, videos and informational links and information on the efforts being made to save these magnificent bears. 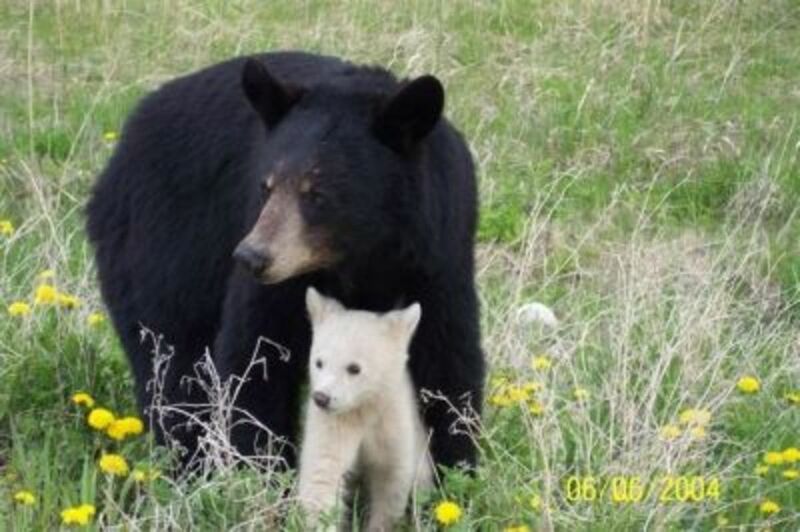 Both the white and black bears that are found on Canada's west coast make up this rare species. 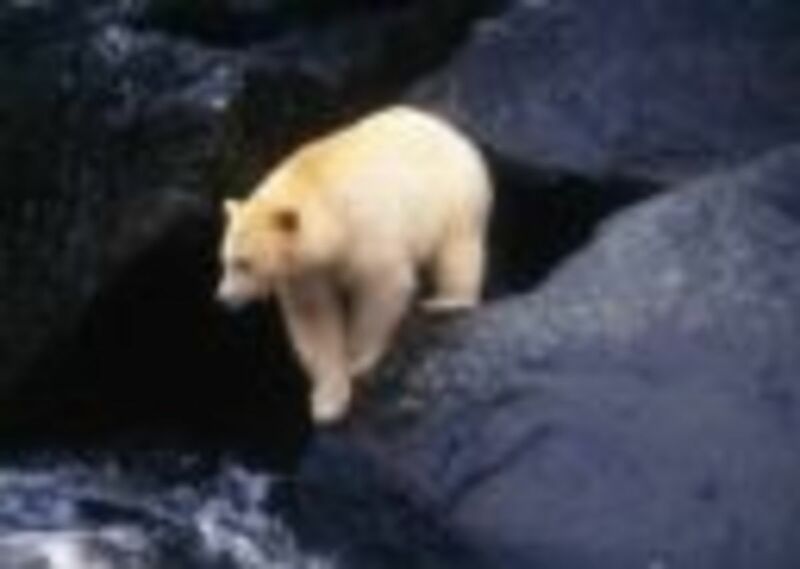 The white bear is also known as Spirit bear or Ghost bear. Scientists don't know very much about the origins of this unique bear. No one yet has determine the true originations of the Kermode bear. It is thought by many scientists to have developed from a separate strain of coastal black bear that was cut off from populations of black bear inland. 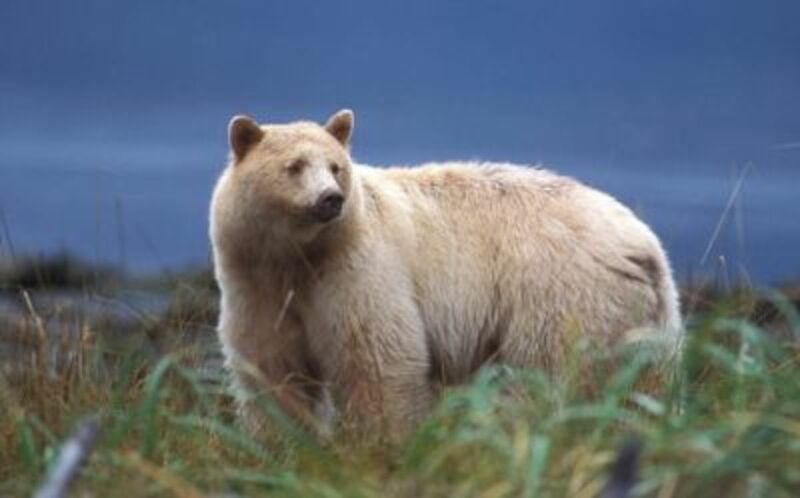 It is still under speculation about why the Kermode bear, which has a unique recessive gene never found in any other mammal, is found only in these bears in a small area of the coast of Canada. Kermit Kitland of the University of British Columbia studies the Kermode bears. 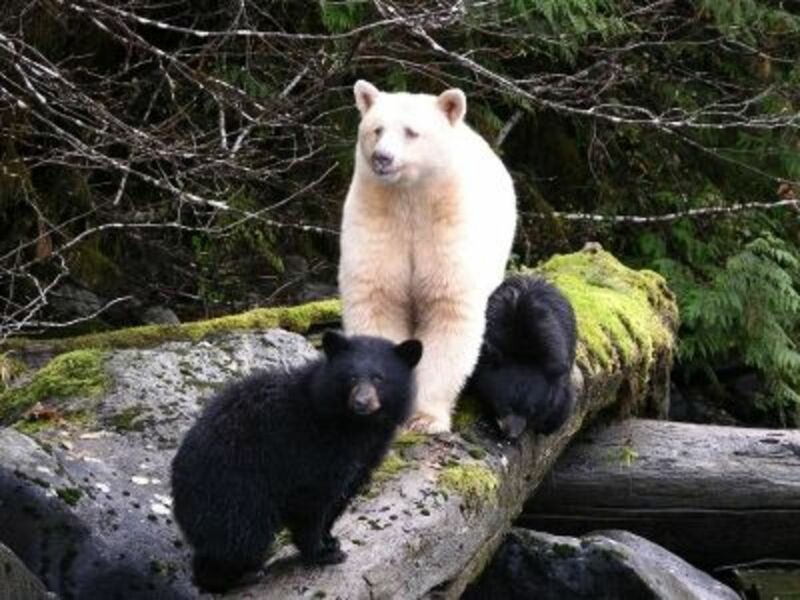 The study,funded by Forest Renewal, British Columbia was to locate the origins of the Kermode's white gene and to determine if "a change in a single base pair of a recessive gene" stops the production of the pigments that make the bear's black and in turn produces a cream white cub. Ritland found where the Kermode bears with the "white gene" appears most often: the large islands off the coastal mainland. In the report, Ritland, also suggests that to maintain the healthy gene pool on these islands, that there need be a limited interaction with the inland black bears. 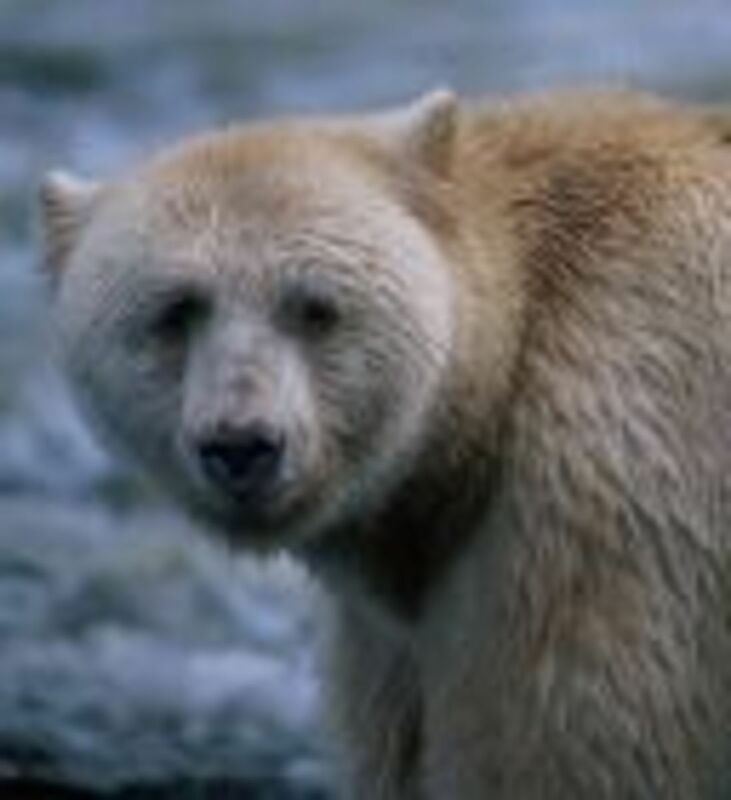 That if a large influx of black bears were migrated or were moved from inland, the Kermode bear gene pool would become severely diluted thus ending the Kermode bear. Raven, the Creator, went among the bears and turned every tenth bear white to serve as a reminder of a time when the Earth's great glaciers covered the landscape. Where Can You find Kermode Bears? Canadian Geographic has some good information on the Kermode or Spirit Bear. Click the following photo for more information and a larger view of the Kermode Bear's range. where do spirit bears or kermode bears live? Kermode bears live on the Pacific Coast of British Columbia, Canada. Their range includes Prince Royal Island, Princess Royal, Pooley, Gribbell and Prince Rupert Island. The populations where the gene appears most often is Princess Royal, Pooley, and Gribbell. 1 out of every 10 bears on these islands are white. The bears live in the islands rainforest known as the Great Bear Rainforest. It is one of the is the largest intact, unspoiled, coastal temperate rainforest left in the world. Because the habitat for the Kermode bear was under threat from logging, in 2006 a series of conservancies stretching 250 miles along the coast of the Island were established. This protected area is twice the size of Yellowstone National Park. 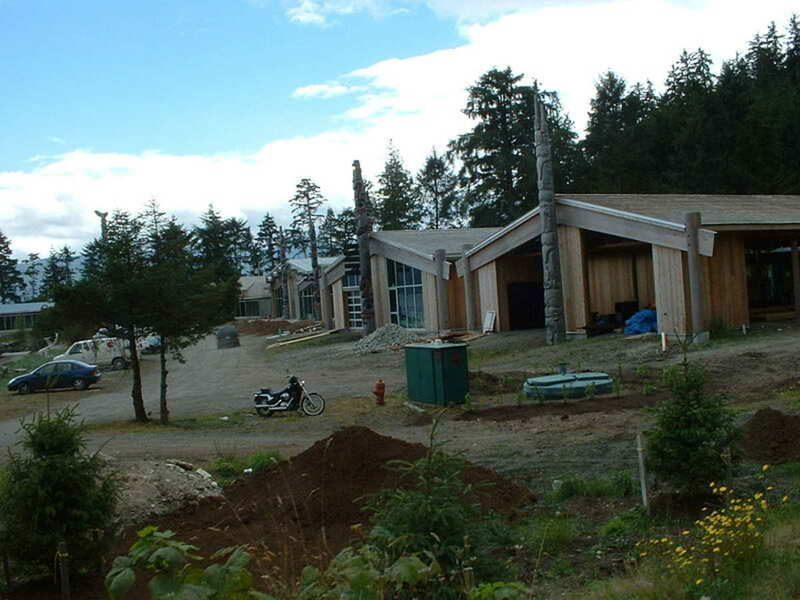 The area is home to not only the Spirit Bear but also to grizzly bears, cougars, wolves, and salmon. On January 21, 2007, the Canadian government pledged to spend US$26m to protect this rainforest. Along with the pledge from British Columbia and donations, total funding for the reserve is $120 million. what do Kermode Bears look like? Kermodes come in a variety of colors ranging from reddish, gray, yellow, orange. About 1 out of 10 are cream/white, which are the ones called Spirit or Ghost bears. Due to a rare recessive gene, these bears who have white fur are not albino. 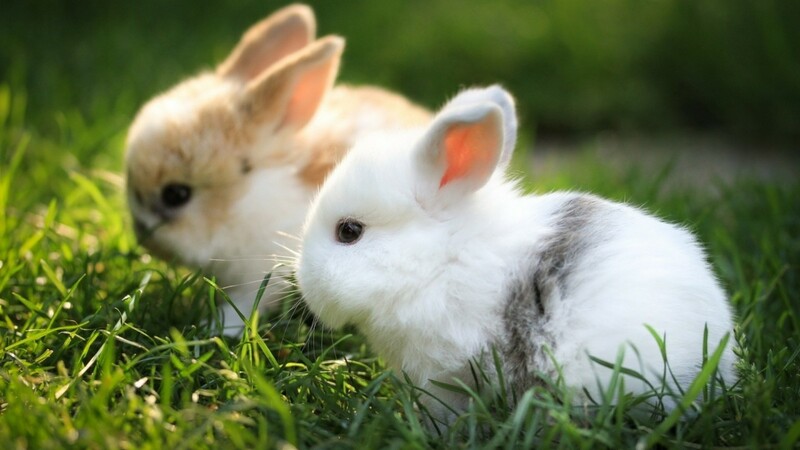 Their eyes and nose are both brown not white as an albino would be. 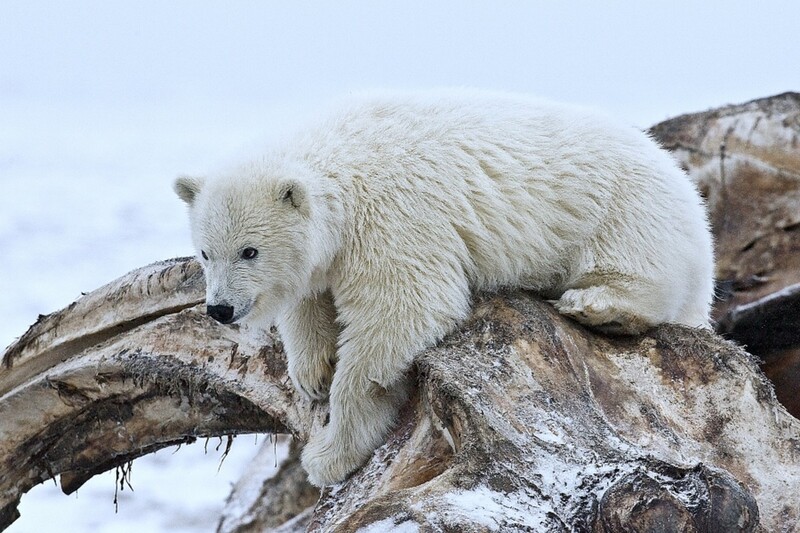 A white bear cub is the offspring of a male and female bear, each carrying that special gene. They have 5 claws like all other bears and they are non-retractable. Where a cub is born at about 1/2 pound, an adult can weigh up to 300 pounds. In the Tsimshian language, the Spirit Bears are known as Moksgm'ol. Like the Black Bear, Spirit bears weigh about 1/2 pound when they are born. They give birth to 1 to 4 cubs (usually 2) in the Spring. They stay with their mothers for 2 years learning survival skills from her. The bears den in the hollows of old-growth trees. In this photo, the Kermode bear has 2 black cubs. The main food source for the Kermode bears is salmon which makes up 95% of their food. the other 5% is made up of plants, fruits, nuts and insects. Many of the Kermode bears have a yellowish tinge to their fur. This is thought to be the result of their high salmon diet. I received the 2 photos below of the Black Bear Momma with her white cub some time last year. I was told they were taken in 2004 near Gordon, WI. Which would be highly unusual since the Kermode bear species are found only on Canada's west coast. I wondered it they could these be distance cousins? However, I just found one of the pictures on a website that said they were taken in Terrance, British Columbia. This makes much more sense! PHOTO UPDATE: Brian posted a comment with the story behind these photos. He said, "The black bear with white cub photo was taken in 2004, but from Manitoba not from BC or WI. There is an article in the International Bear News, 2004, vol 13 #4, a members newsletter for the International Association for Bear Research and Management (IBA). 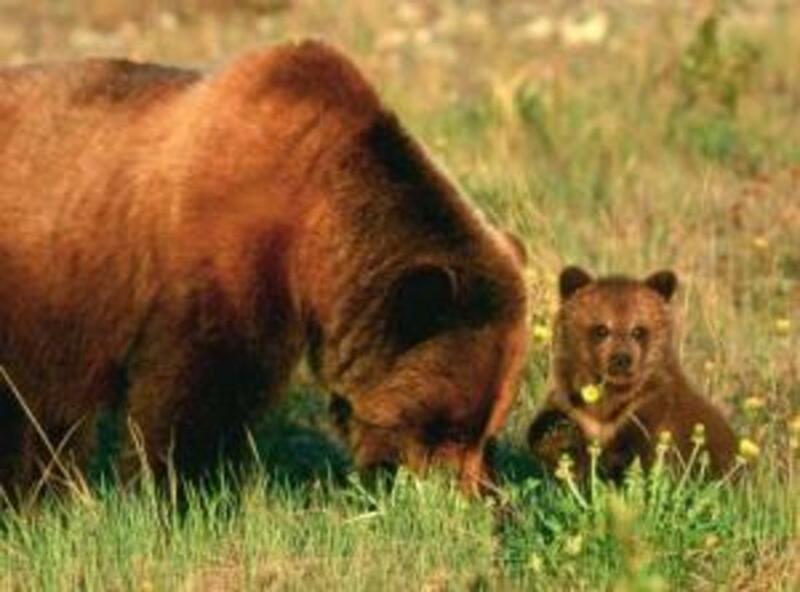 To summarize, the sow and white cub were first seen in June 2004 feeding on roadside garbage ini land between lake Winnipegosis and Cedar Lake, Manitoba. Photos were published, media hailed a 'rare albino' (though told it was likely not). The area became popular, with people bringing food to attract the bear, and on July 11 the mother was struck and killed by a vehicle. "The cub was accepted by Winnipeg's Assiniboine Park Zoo. The Chemawawin Cree Nation named it Maskwa (Cree for bear). Tests were run to determine if the cub had the same double-recessive coloration gene that make Kermode bears white, but I don't know the results of that test." 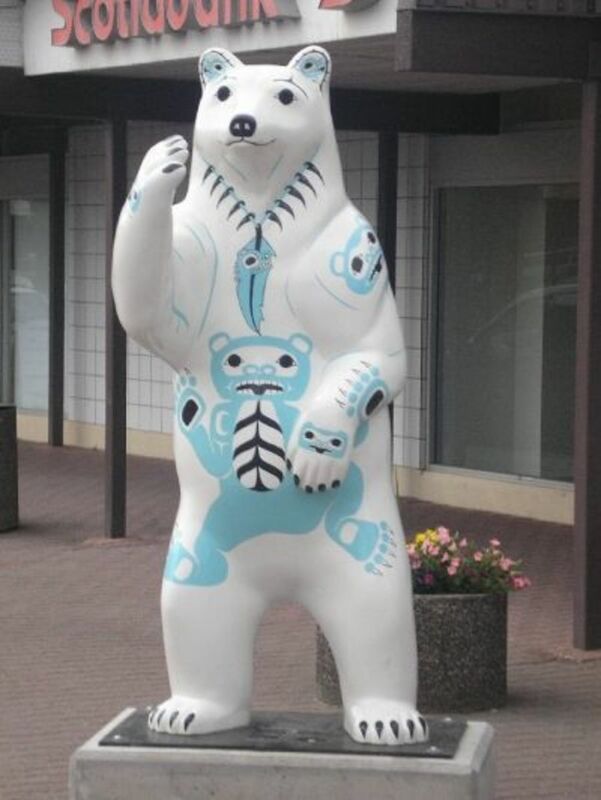 In the City of Terrace, a contest was held for local artists to use their artistic skills to decorate a Spirit Bear statue. 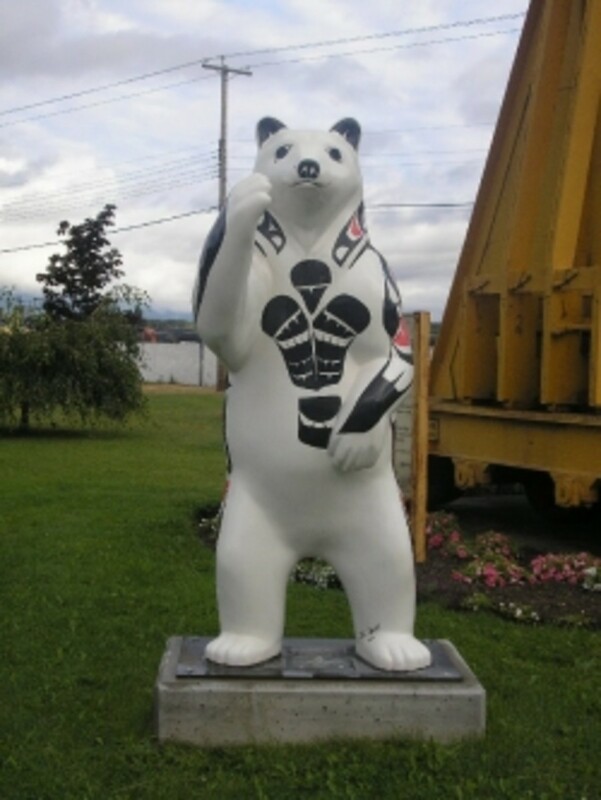 The spirit Bear statues can be found throughout Terrace and the local area. At the right is a photo or one and below are photos of two more. 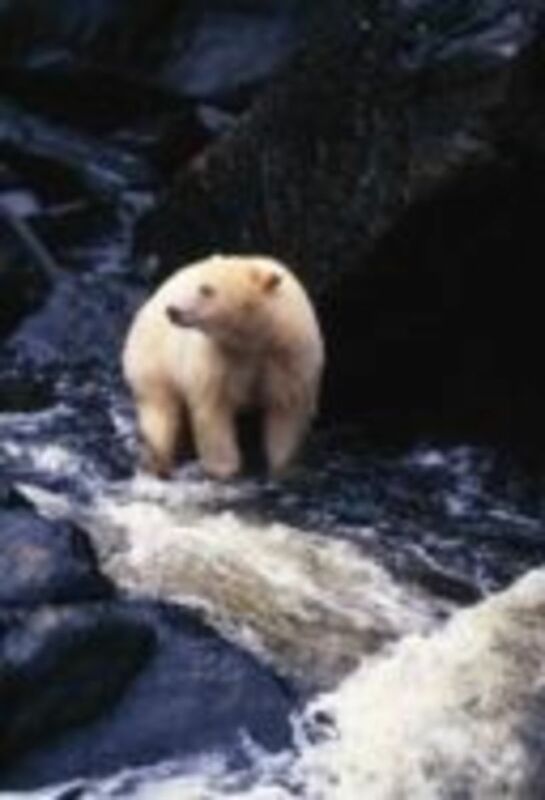 A warm and inspiring movie about how 1 person can make a difference in saving a species - the Kermode or Spirit Bear. a must see to see these bear live. This is an amazing book. The author spent a year on Prince Royal Island with the Turners who were filming the bears. His book is the first-hand account of this year of living with these beautiful bears. 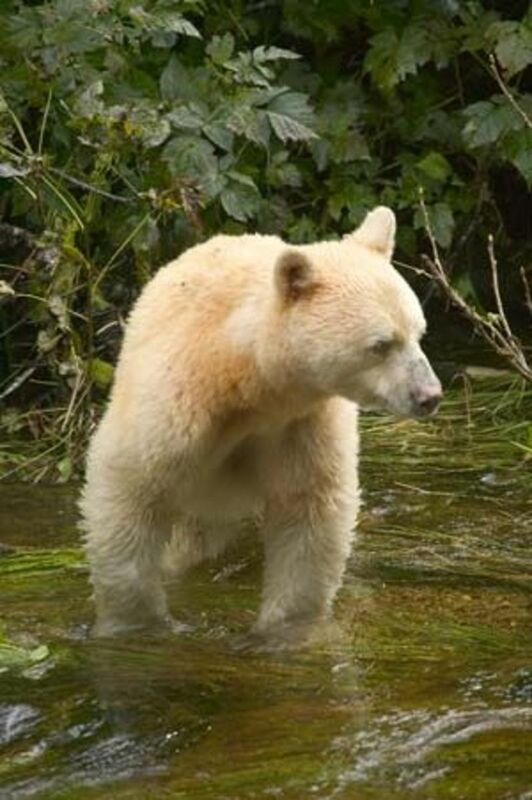 The remaining 400 Kermode Bears aka Spirit Bears are endangered by big oil. Please watch this video then go to Save the Spirit Bear and voice your concerns. Dr. Jane Goodall cites the campaign to save the spirit bear as one of her reasons for hope - and indeed the campaign offers many reasons to believe that the spirit bear will soon be saved. Conservation Voters of BC works on making BC politicians accountable to the strong environmental values of the BC public. Helping to protect the Great Bear Rainforest in British Columbia, Canada. It may look like a polar bear that has ventured too far south - but these once-in-a-lifetime photographs are of the extremely rare Spirit Bear. 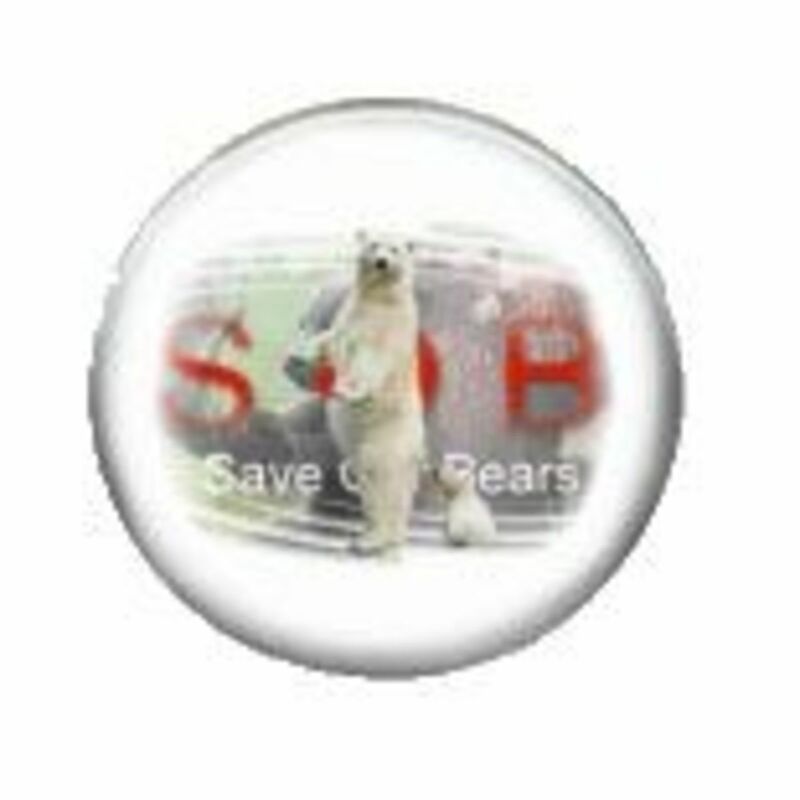 Save Our Bears is a group of lenses devoted to help change the plight all of the 8 bear species through awareness and fund raising. Click Save Our Bears (SOB) to go to the headquarters page. Video: Canadian Spirit Bears are brought out of hiding. Want to link to this lens? Here's how. Please use this guest book to share your thoughts about this lens. Thank you. I think this is the first time that I have heard of the Kermode Bear and sure enjoyed learning about this unusual bear. Thank you for the important information and insights about the Spirit Bear. What beautiful creatures - thank you so much for sharing them with us! Blessed by a SquidAngel! Beautifully done! Really enjoyed learning about this bear and also the photos. Came back to google +1 this gem. Belated congrats for a well-deserved purple star for this too! Very fascinating lens. I had no idea that such bears even existed. Instead of stopping that pipeline from going through the rainforest, why not make the penalties for oil spills extreme, with the company having to place enough money into a special account to cover the worst case scenario. The money (rather, just the interest on the fund) would be used for this specific geographic area and for the protection and study of these bears and to help care for them. It would seem that since they are pretty much identical to other black bears, wouldn't it be possible to populate other areas with these same bears, thus expanding the geography they are found in? The money which the disaster fund would earn could be used for this. The only thing I'd worry about is the politicians somehow getting hold of the fund and using it for other things or simply stealing it. As political administrations change, permission to build the pipeline will be given behind closed doors, it's just a matter of time. Better to get the money to protect the bears before it's too late. Just a thought. Thanks for the great lens. Wow great lens....Interesting how different varieties of a species can arise....Kinda makes teddy bears a little more realistic(they come in many shades). It is fascinating to learn about the Spirit Bear or Kermode Bear. How interesting that they are indigenous to just one area of the world. What beautiful creatures! I'd never heard of them before and this lens is so informative with lovely photos and videos! 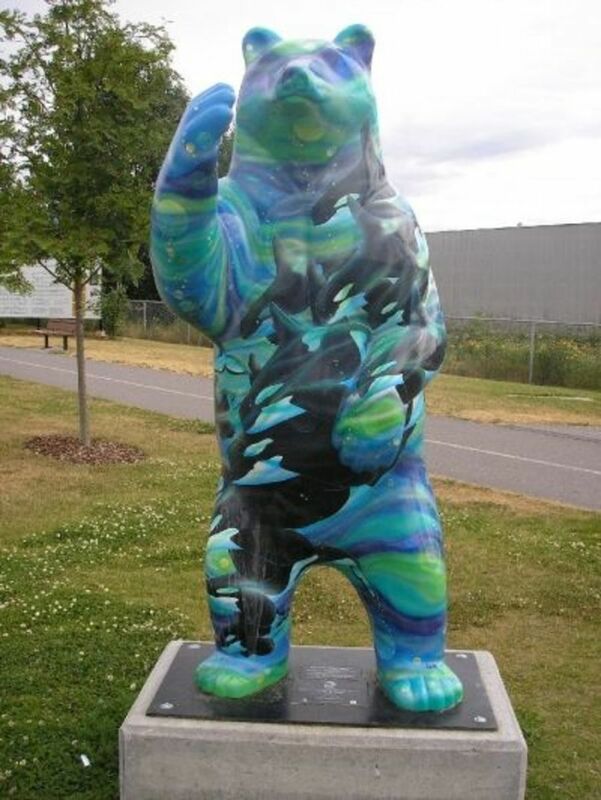 Let's hope these bears don't disappear before more people get to learn about them! Beautiful lens! I love these bears. I discover new things, a very informative lens. My class used this site for facts on anmals. THIS SITE ROCKS!!!!!!!!!!!!!!! Very interesting - NOT an albino! Thanks for this educational lens. Another great and informative lens! Blessed! Wonderful lens. 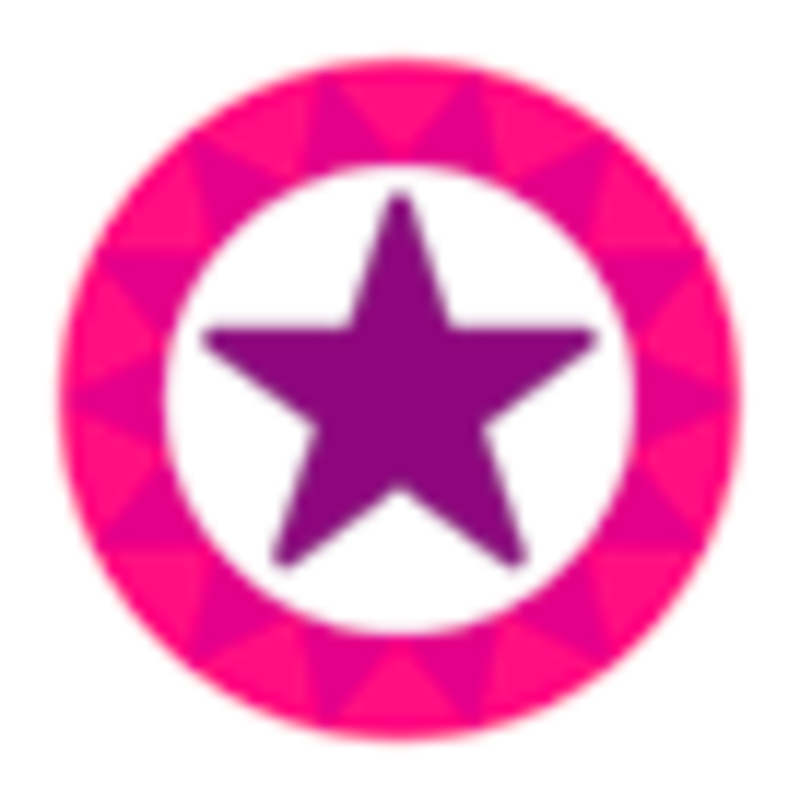 Conrats on a well deserved Purple Star! I had never heard of the Spirit or Ghost Bear. It's beautiful! How sad that the little bear was orphaned though. Such a beautiful lens! Thank you for sharing this wonderful info on the Spirit Bear! Thanks for all you do to help bears. I'm sure you were heartbroken about the mother bear being killed by a vehicle. 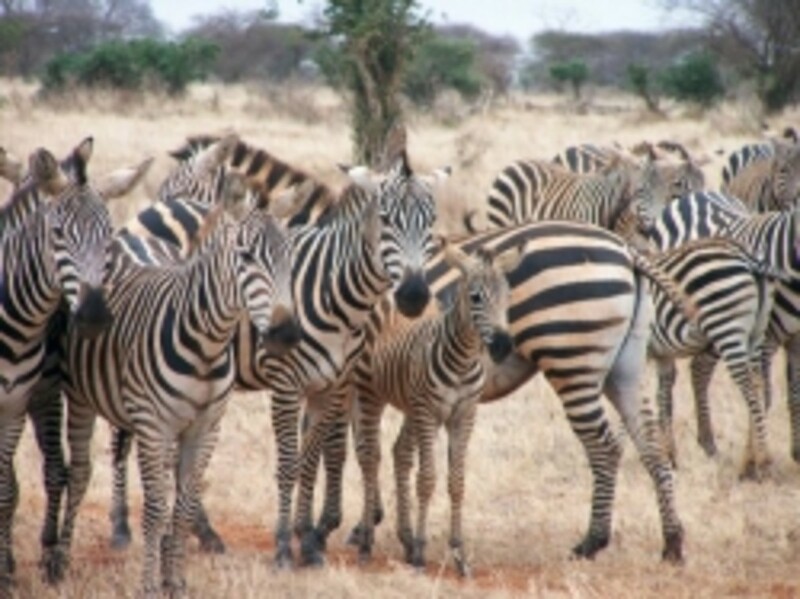 It's a sad story and shows why people should interfere as little as possible with wild animals. Enjoyed the lens, thank you for putting it together. Wonderful lens! Blessed and enjoyed it! Im just on here for a school thing...we are reading the book 'Touching Spirit Bear'...our teacher is making us look on this website to find information on "Spirit Bears". Thank you for a beautiful look at a magnificent bear! Beautiful lens. Blessed by a squidoo angel. Blessings to YOU my dear! Squid Angel blessed today. [in reply to Brian] Brian, Thanks for the "rest of the story" as Paul Harvey would say. I included the info in the module above with the photos. Thanks again! 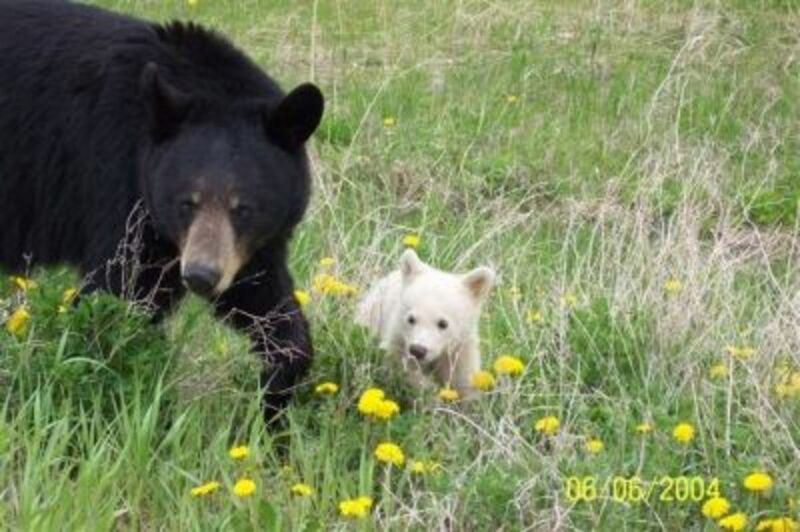 The black bear with white cub photo was taken in 2004, but from manitoba not from BC or WI. There is an article in the International Bear News, 2004, vol 13 #4, a members newsletter for the International Association for Bear Research and Management (IBA). To summarize, the sow and white cub were first seen in June 2004 feeding on roadside garbage ini land between lake Winnipegosis and Cedar Lake, Manitoba. Photos were published, media hailed a 'rare albino' (though told it was likely not). The area became popular, with people bringing food to attract the bear, and on July 11 the mother was struck and killed by a vehicle. The cub was accepted by Winnipeg's Assiniboine Park Zoo. The Chemawawin Cree Nation named it Maskwa (Cree for bear). Tests were run to determine if the cub had the same double-recessive coloration gene that make Kermode bears white, but I don't know the results of that test. You might consider the IBA's Bear Conservation Fund to support bear research? This is a lovely lens. The bears are too! cool lens. i didn't know much about spirit bears before this... we're gonna also check out the movie about spirit bears that you have here. thanks for sharing. Wow! Keep up the excellent work Frankie! Another fabulous 5 star lens, and a great addition to my "favorites". Wow. Great job on these beautiful bears. What beautiful bears. Never heard of them before but am glad I know about them now. Thanks for all you do for the bears! Another great animal lens. Welcome to the Naturally Native Squids group. Don't forget to add your lens link to the appropriate plexo and vote for it. Beautiful lens. Thank you for including the donation part to Heifer International so it can be added to the Month of Thanks Challenge.